Meet The Team | Fresno, CA | Efema P. Nwajei, D.D.S. Education: Fresno City College, Dental Hygiene, Fresno, CA. In her own words: From an early age, the dental field called to me. It was in high school I realized I wanted to enter the dental field and was encouraged by my mentor to become a dental hygienist. Soon after schooling, I knew I had chosen correctly. Dental hygiene has become my passion. I enjoy working one on one with patients and getting to know them not only as my patient but as a person. As a clinician, I enjoy learning new things and keeping up to date with products and technology to ensure I am giving my patients the best quality treatment they deserve. Getting to know Jacqui: On my free time I enjoy spending time with my family. We love to camp as well as play sports like softball together. History: Michelle graduated from Galen College in 2000 from the Dental Assisting program. "Welcome to our office website; For starters let me begin by thanking you for visiting our website and inquiring about our office in advance. We hope to be able to call you our patient in the near future." " I entered the dental field with the mindset I would enjoy the day to day work and want to be there. I am a people oriented person; So, having that one on one interaction is perfect. A few years into my career, I found myself wanting to learn as much as possible and be able to educate patients about their oral health and how that can affect the rest of the body. 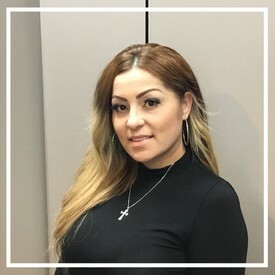 I started as a Dental Assistant in a general dentistry practice and moved to an orthodontic practice, where I became the orthodontic supervisor. I enjoy ortho. and love to see the before and after results. Being able to be a part of the happiness and satisfaction the patient feels is rewarding for me. After several years, I became a front office assistant which lead to becoming an office manager. Being the office manager is rewarding and allows me to have that one on one interaction with patients in all aspects of the office." "I am proud to be part of a team that can not educate enough on the importance of oral health and how much your health means to us." Michelle's favorite thing to do is be with family. They enjoy the beach, going camping. Her favorite thing of all is being a mom. Caring, compassionate, and attention to detail.. The atmosphere is amazing and everyone seemed to genuinely cared about my needs. I am deathly afraid of needles in general and having my cavity fixed with Dr. Nwajei was very relaxing and she cared enough to explain exactly what I was going to experience. Overall, if I ever get another cavity, I know exactly where to go without any apprehension at all. Great job everyone!!!! All the staff at A Beautiful Smile has been very friendly and attentive. They've been great about working around our busy schedule and getting the family in back to back appointments. Thank you! Dr. Nwajei is amazing. She's very approachable and describes everything going on. Plus, she's very gentle during routine procedures. Definitely recommended for all ages and families. From the moment I opened the door, your office staff was professional and acknowledged my presence. This was my first time back at a new dentist and I felt welcomed. I will be back to further my treatment because it was more than I expected. Thank you!